The "Star Trek" film franchise didn't start with a thud. A "thud" implies some sort of movement. “Star Trek: The Motion Picture” had precious little of that. So it’s understandable audiences greeted “Star Trek II: The Wrath of Khan” with trepidation. 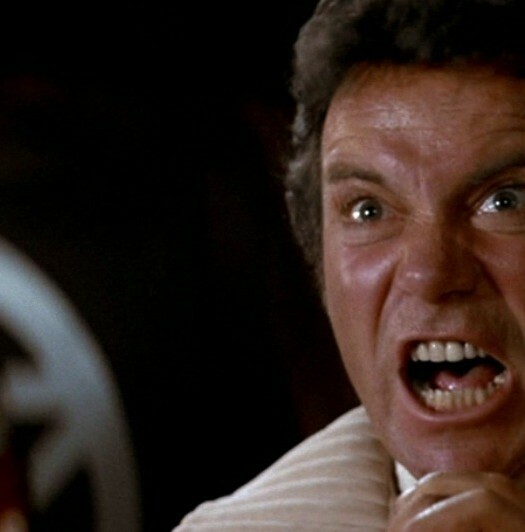 Today, 1982’s “Wrath of Khan” is considered the franchise’s gold standard. The film captured the wonder, the chemistry and the humanity of the ’60s series. It simply took two tries to get it right. Now, “Star Trek II: The Wrath of Khan [Director’s Cut] [Blu-ray] ” is finally here, along with a new “making of” documentary plus every bonus feature a fan could demand. The release includes the theatrical cut as well, for those who want their memories to sync up with their movie collection. “The Wrath of Khan” didn’t hide the fact that the Enterprise crew was getting older. It embraced it, down to William Shatner’s Kirk whipping out a pair of antique reading glasses at a critical moment. That theme, along with the nobility of sacrifice, broaden what could have been just a rip-roaring space yarn. For the best “Star Trek” stories, delivering the necessary action beats is never the point. Ricardo Montalban’s Khan, introduced in the original series’ “Space Seed” episode, is back and angrier than ever. He and his fellow enhanced humans were left on Ceti Alpha 5 by Shatner’s Kirk years ago. Kirk never bothered to touch base with them after depositing them on the planet. No Christmas cards. No perfunctory phone calls to make sure all is well. That meant Starfleet didn’t know the fallout from a neighboring planet’s explosion. The incident rendered Ceti Alpha 5 uninhabitable. So when Lt. Chekov (Walter Koenig) and his captain (Paul Winfield) visit the planet early in the film they find Khan sporting a Tribble-sized chip on his shoulder. Khan wants revenge, a dish which as the Klingon proverb reminds us is best served cold. Montalban delivers so much ham in each scene it’s a wonder his fellow actors could keep a straight face. Yet that makes him the perfect Ying to Shatner’s melo-drah-matic Yang. They’re never in the same room, but their dueling egos fills up the screen nicely. The original “Trek” is known for its crude effects. “Khan,” despite being more than 30 years young, remains surprisingly slick. What’s ageless is the banter, the feisty back and forth exchanges between the key players. The actors fell back into their grooves nicely after the stilted “Motion Picture.” Now, it’s time to ease into an old, familiar chair. That sensation gives the film something special, a quality many serious sci-fi films from the era lacked. In a way, “Khan” is the perfect template for the modern film franchise. The movie acknowledges the bond between the main characters … and what makes each one special. It serves up impressive special effects (done on a tighter than expected budget) without drowning in them. The story hews perfectly to the themes present in the source material – adventure, yearning and the very humanity that we fear could get lost as technology evolves. We meet new characters (like Kirstie Alley’s Lt. Saavik) who work seamlessly with the original troupe. The Director’s Edition isn’t significantly different, at first blush, than the version seen in theaters. You’ll spot an extra moment or two sandwiched in, particularly a “hug it out” moment between Kirk and his estranged son. 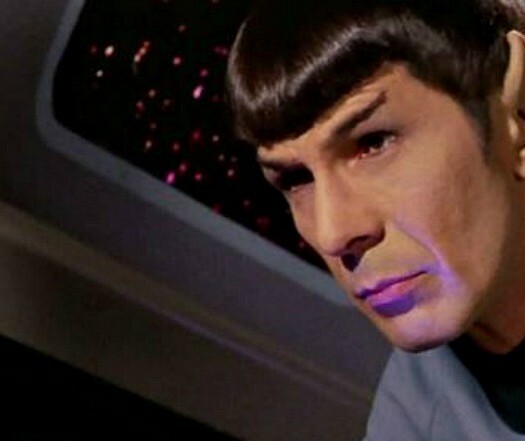 FAST FACT: Nimoy’s Live Long and Prosper hand gesture came from the actor’s Jewish background. As a child, he saw Jewish holy men use the gestures during a religious ceremony. The camaraderie between the key players remains as crisp as ever, and director Nicholas Meyer (“Time After Time”) managed to move their relationships forward without sacrificing the film’s tension. Bones (DeForest Kelley) and Spock (Leonard Nimoy) bicker. Kirk and Spock raise each other’s game with mutual respect. Scotty is … cartoonishly over the top. The film’s emotional crux comes in the last act, a moment which paved the way for “Star Trek III: The Search for Spock.” That doesn’t rob Spock’s selfless heroism a wit. The packed Blu-ray edition features three commentary tracks – two audio, one text – plus a gaggle of filmed extras. “The Genesis Effect: Engineering The Wrath of Khan,” the best feature, recalls the troubled back story of the film’s development via archival footage, photos and new interviews. “I made the ‘Star Trek’ movie that I wanted to see, on the assumption if I liked it, other people would like it,” Meyer says. Producer Robert S. Sallin offers a more grim assessment of the production prior to filming. Few directors wanted to do a “Star Trek” movie, let alone a sequel. Ron Howard was briefly considered to helm the project. Nicholas Meyer had never watched “Star Trek” the TV show before joining the team. The film was booked into theaters before the film production began. William Shatner hated the script initially. “It’s a disaster,” Shatner said, forcing Meyer to do some spit polish to it. A short time later, the actor was calling his director a “genius” on Meyer’s answering machine. The Blu-ray also features interviews with the main players recorded at the time of the film’s original release. It might be worth buying the video just to see Nimoy’s white pinstriped suite combined with a pink shirt and tie.